Operating since 1969, Elite Cattery is just off Archway Road, midway between East Finchley and Highgate stations, ideal for cat owners in North London. The cattery can accommodate 280 cats in indoor accommodation. 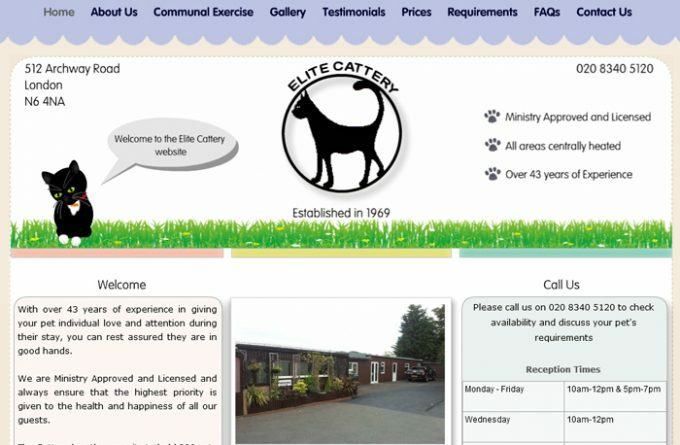 For more information about Elite Cattery, you can visit them in person, visit their website, telephone or send them an email (if available) using the form below.